You are welcome to extend your session longer than your reservation, pending your expert's availability. Sixty sessions act as reservations of time on your expert's calendar. That means you'll only pay for the time you actually use (with a 50% minimum). 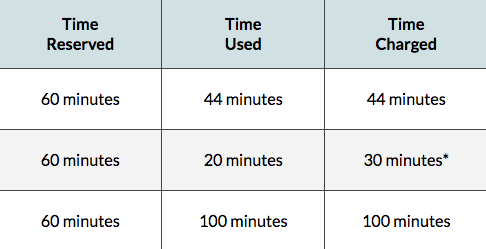 * The minimum charge for a session is 50% of the reserved time.